Before the revelation of the chosen hero, before the fall of Hyrule, there was an uneasy peace. It was always understood that evil lurked just over the horizon. 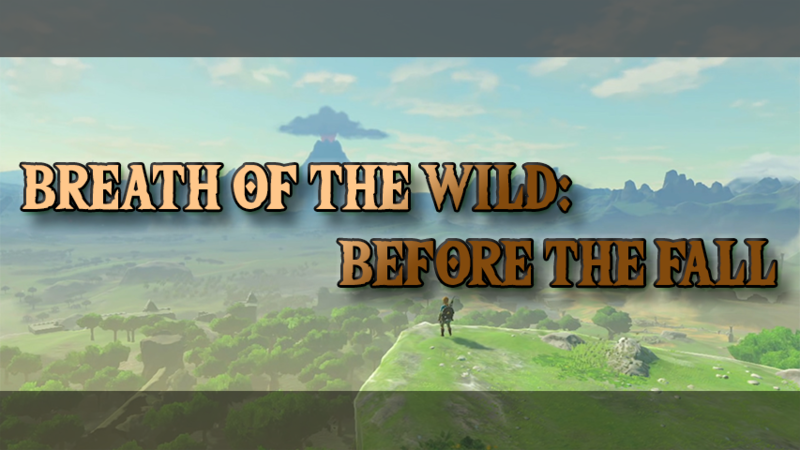 Follow the story leading up to the great calamity and see just how the heroes of Hyrule came to be. Metal hit rock with a clang as the lightweight sword slashed through the air, missing its target. The hard hit reverberated through the hands of the young swordsman causing him to drop the weapon. He shook out his hands and looked around, his target, the annoying Keese, having gotten away. It had followed him as he walked the path home, pecking and squeaking in his ears. He shooed it away numerous times, but the heat of the sun mixed with his heavy satchel caused his patience to wane fast. He picked up the sword and looked it over, making sure the rock had not damaged it. He had promised himself he would not ruin this sword, especially not after breaking the last one his father gave him. Link nodded. He never wanted to disappoint his father. But that meant he had to quit letting his emotions drive his actions. He glared up at the air around him, looking for the Keese that had stopped him in the first place. It was gone for now. He sheathed his sword and adjusted his satchel as he continued on the path home. The sun rested in the middle of the sky, casting Link’s shadow on the ground before the door to his house. He opened the door to the quiet dwelling and shed his satchel, tossing it to the ground. His father wouldn’t be off duty until nightfall, leaving him lonesome for the rest of the afternoon. Link put his things away and hopped onto his bed, it was too hot to do anything thing outside. He opened the book he had been reading and continued where he left off. The pages seemed to come to life, the images projected in his mind dancing around like Kokiri. Eventually, he was lulled into a sleep thanks to the peaceful conditions of the day. “Over here, Link.” Link adjusted his eyes and saw his father by the front door. His tall figure still dressed in his armor, the crest of the royal family displayed proudly. He was hastily grabbing his sword and shield. “Bokoblins are attacking. I have to go.” He gave Link a serious look. “You stay here.” His father must have come home after training the new recruits to get food, but now he was heading out again. Link nodded, still groggy from the rude awakening. He jumped at the sound of another crash. “I’ll be back soon,” his father promised as he swiftly ran out the door toward the direction of the large castle, a mile or so up the road. Link locked the door behind him and peeked out the window. He thought he could hear the distant, panicked cries of people living in the town just outside the castle. Looking closely, he could barely make out black shadow like creatures running in the same direction his father raced to. He paced nervously. He wanted to do something, but it was too dangerous. He ran his hands through his light colored hair and sighed in frustration. He ached to be out fighting, doing something. Link’s hand ached for his sword, wanting to finally put his training to use. Be sure to vote in the poll to let us know what decision you want Link to make. The next chapter will be posted on June 2nd. We hope you have enjoyed the beginning of this new adventure! As a reminder, next Friday will be the Community Fan Fiction Contest. Please keep all story submissions 5000 words or less. All submissions are due by May 24 at 11:59pm and should be emailed to zifanfic@gmail.com.